This kid is so cool you got to se this flick. Teton Gravity Research and 7-time X Games medalist and 3-time Real Ski Champion, Sammy Carlson, introduce The Sammy C Project. The Sammy C Project hopes to inspire those even beyond the realm of snow to go after their dreams with tenacity. The world premiere took place in Portland, OR last week, but you can find it on line at Apple store and other outlets. Bighorn’s owner Michael Kirkland describes what sets Bighorn apart: “Bighorn is unique in offering an exciting mix of luxury and adventure. Heliskiing direct from the house helipad and world class lift skiing from Revelstoke Mountain Resort are complimented by a stunning mountain home with incredible facilities and five star service. It is an absolute honour to receive this award for the third time and it is testament to the hard work and dedication of our wonderful team that we can remain at the top of our game”. 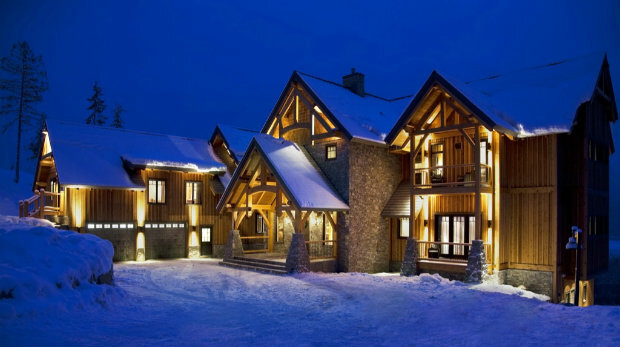 For your chance to stay in the World’s Best Ski Chalet enquire now. There is still availability before Christmas, in January and March. Don’t sweat it, folks. You’re not the only one who doesn’t stomp a trick first try. Today, MSP Films revealed its crash reel from the making of the 2015 feature Fade to Winter. Enjoy a collection of wipe outs from the motley crew, including: Bobby Brown, Markus Eder, Michelle Parker, Aaron Blunck, Tanner Rainville, PK Hunder, James Heim, Sean Jordan, Mark Abma and Alex Schlopy. Sickest Ski Crash of the Year? You got to see this! Pro skiing veteran, Ian McIntosh, narrowly escapes with his life after what TGR Co Founder, Todd Jones, says “was the most terrifying crash I’ve ever seen.” While filming for Paradise Waits up in the Neacola range of AK, Mac dropped into a line he thought he had studied thoroughly enough, only to fall into an unseen five foot deep trench on one of his first turns. “From there, my slough took over and their was no way to stop, I pulled my airbag to help prevent against any possible trauma injuries as I tumbled to the bottom,” he said. While attempting to regain his footing, Mac lost a ski and cartwheeled over 1,600 feet in under a minute. Stellar Media always produces the most beautiful ski movies. ALL IN is no exception. This is a must see! Especially if you’re an Alaska fan. This film is shot in the Chilkat range by Haines, Alaska. This is also where our heli skiing outfit SEABA has their base. 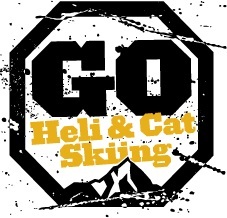 If you want to ski the same mountains – check out SEABA and book directly with us to heli ski Chilkat range.